Raccoons can invade your home without warning, causing you problems that can take a lot of time and money to fix. Once they have inhabited your living space, they likely won’t leave on their own; food and water is plentiful, and your home is much more comfortable and safe than the woods. However, having a raccoon infestation can be dangerous for you and your family. Raccoon feces and urine contain bacteria and carry diseases such as rabies and raccoon roundworm. It isn’t hard to realize when your home has been infested with raccoons. 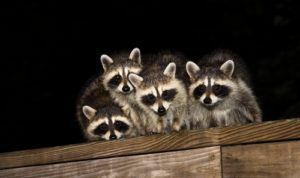 Even if you don’t physically see the raccoons, you will hear them scratching and clawing at particular times of the day and night, and will notice the movement of animals that are obviously larger than other common invaders. Finally, you will probably notice a smell of stale urine that increases over time. Raccoons can produce an inordinate amount of excrement, and multiplied by four or five (the normal size of a raccoon family) this can become overwhelming very quickly. It may be tempting to try a raccoon removal on your own. They could potentially be removed using individual traps or chemical repellents; non-traditional methods like sound aversion also have some potential to aid in stopping an infestation. Of course, removing the problem on your own can be more dangerous than practical. Raccoons are dangerous when cornered, and bites can lead to problems that follow you for the rest of your life. It is better to call on a trained professional company to tackle your raccoon removal. 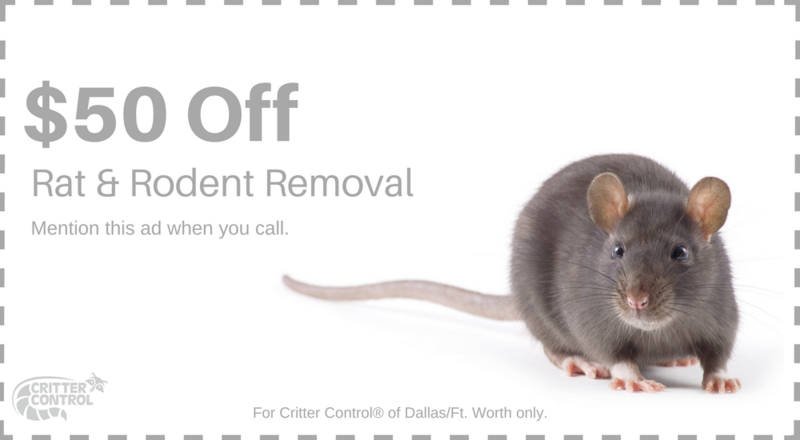 Critter Control Ft. Worth has the experience and tools to rid your home of raccoons and repair any damage they may have caused. Give us a call at 469.805.6267 and let the professionals handle your raccoon removal.